Another Winter is over and the first day of Spring heralds a drop in WA Mutton prices as supply reacts to the recent buoyant markets over there. 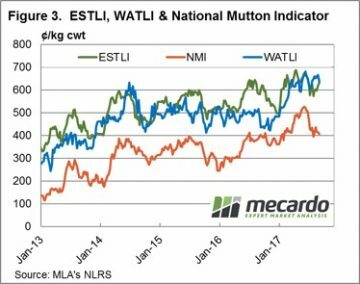 The WA Trade lamb indicator (WATLI) off too, closing the gap between itself and its Eastern cousin this week to see only 3¢ difference between them. Figure 1 highlights the reaction of Western mutton producers this week to the robust prices for sheep and lamb prices being experienced recently, as covered by our earlier analysis piece this week. 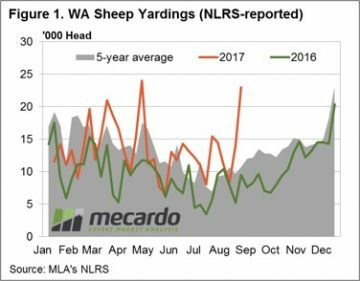 Indeed, the 63% jump in WA mutton throughput pressuring sheep prices lower to see them shed 7% to close at 409¢/kg cwt, now sitting only 4¢ above East coast mutton prices. East coast lamb slaughter beginning to decline with figures for the week ending 25th August 4% lower than the previous week, with just over 357,000 head processed. 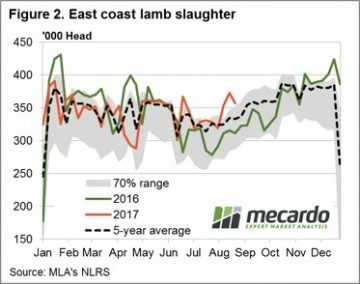 Although, slaughter figures still sitting fairly high compared to previous seasons with the current week tracking 7% above the five-year average for this time of the year – figure 2. Read more about what the higher slaughter levels now may mean for lamb prices as we head further into Spring here. 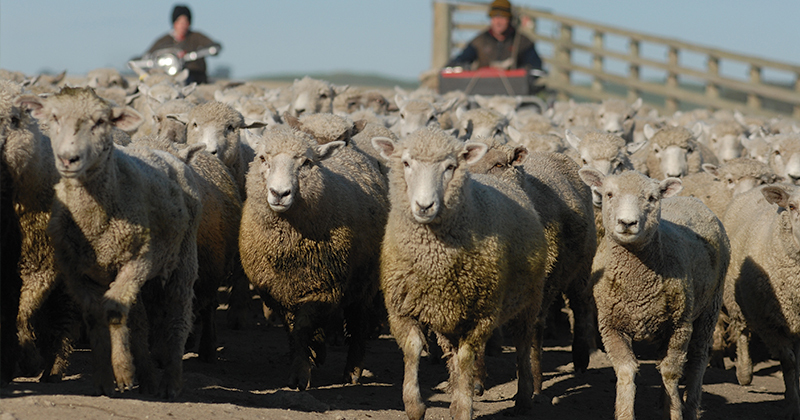 The high supply not having a great impact on most national categories of lamb this week, with only Merino lamb posting a decline – down 2.3% to 557¢/kg cwt. National Mutton down a similar magnitude, off 1.9% to close at 407¢/kg. All other national lamb indicators posting gains between 1.5% to 5% and this robustness was mirrored in the Eastern States Trade Lamb Indicator (ESTLI) with a gain of 2.4% noted to close at 633¢/kg cwt, just 3¢ shy of the WATLI – figure 3. Light rainfall forecast for the West and better falls noted for SA and Victoria should keep prices reasonably stable for the week ahead. In addition, with no clear signs yet of the impending spring flush and the stronger than normal supply we have seen for lamb in the last few weeks, means that less may present themselves throughout Spring. This suggests that prices may be kept fairly well supported on any dips.